Bond & Smolders - Delicacies & Drinks in Utrecht. 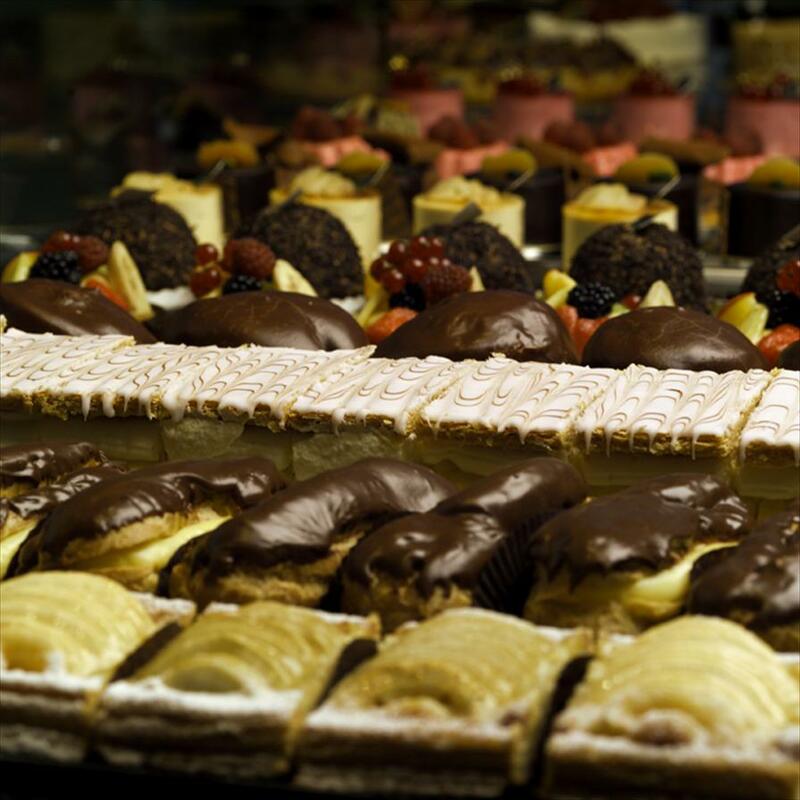 Pastries, cookies, chocolate, dessert cakes, wedding cakes. Also rolls, coffee, tea, sandwiches. And then there’s Argimontana confiture (jelly) and various liquors including cherry, raspberry and strawberry flavor. High quality, purity, all the best ingredients are used here. Everything is homemade yet affordable. Check regularly for new additions to the selection, for instance with seasonal changes. The presentation of the pastries and other products is impeccable, interior design is clean-cut and effective. Many customers will take a few minutes out of their day to sit down and have their coffee and a pastries here. Party catering also possible, the beautiful cakes will set the tone! Owner Ralph used to work in France and Belgium, where he got his inspiration for this store. Every year the proprietors make several trips to Brussels and Paris for innovative suggestions. One of the specialties here is ‘Domkoekjes’ (Dom-cookies) as this store is located right next to Dom Church. Wedding cakes are another, and many chocolate-lovers frequent this place for their excellent chocolate selection.